The First Unitarian Church of Chicago welcomes all who seek a religious home free of creeds and guided by love, reason, and conscience. We are a delicious mix of races, cultures, and beliefs, a unity in diversity. In this church, there are people who pray, people who meditate, people who write, people who make art, people who practice paying attention, people who read mindfully, and people who have no active spiritual practice at all. We don’t say the same words, perform the same actions, or address the holy aspects of life in the same ways. Within our diversity, there are some things that unite us. We believe in the importance of the individual’s free search for truth and meaning. We believe in every person’s inherent worth and dignity. And we believe deeply in the importance of work for justice in this world. Our vibrant religious education program helps our children develop their spiritual curiosity and awaken their soul without imposing a particular set of beliefs on them. We celebrate and affirm the active engagement of LGBTQ+ members and friends, and their families. In this multicultural, multiracial urban congregation young people and their families and adults of every age join together for the first part of our Sunday morning worship service. Our choir sings at every service – you will hear classical and jazz, gospel and popular – our choir blends their voices to make beautiful and joyous music! Worship inspires our growth in body, mind, heart and spirit. Services focus on spiritual life, personal growth, our life in community and living our faith in the world. We draw from many sources of inspiration for readings, music, and sermons. Worship associates and guest speakers join our ministers in leading worship, embodying a diversity of voice and person that echoes our compassion for diversity of many kinds. Our spirituality groups share and dialogue with each other and express our commitment to a spiritually pluralistic congregational life. Our Social Justice ministry is an expression of the second principle of Unitarian Universalism. Our Social Justice task forces are very visible and accessible to all our members and friends, as social justice task forces provide opportunities for education, action and witness. We are encouraged to live our faith in the world through participation in these task forces, Unitarian Universalist social justice efforts and involvement in the Hyde Park and Kenwood Interfaith Council and housing advocacy in the community. 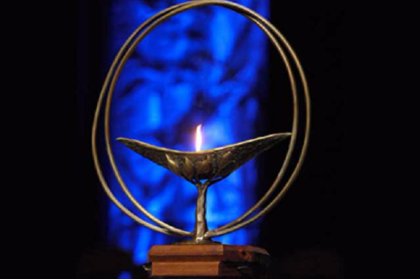 Like the interfaith council we share a passion for healing the world and strengthening the bonds of relationship. A large number of our members and friends are involved in the life of the church in varying ways: supporting the Religious Education of our children and youth, creating multigenerational events, singing in the choir and offering other special music, taking and teaching Adult Religious Education programs, participating in social justice activities, taking care of our building, and supporting our church through substantial contributions of talent, energy, and financial support. We are a generous congregation. Most importantly, we encourage each member, friend and family to care for themselves and their own growing, while they join together to support the life of the church. Decision making of all sorts grows within a collaborative relationship of the congregational leadership and staff. We hold congregational meetings yearly and Board meetings monthly. Like all Unitarian Universalist congregations, the authority lies within the congregation itself. Our practice of greeting one another in worship, our warmth at Social Hour, our multi-generational activities like the All-Church Unity Party, and our caring for those with special needs expresses our caring for each other and our wide welcome to visitors and others who come to join us in worship, education and action. When we say “Love is the spirit of this church,” we mean it. You can feel that spirit in our relational life and our commitment to a spirit of inclusion and welcome to all shines through our statements of mission and vision. Grateful for the religious pluralism that enriches and ennobles our faith, we are inspired to deepen our understanding and expand our vision. As free congregations we enter into this covenant, promising to one another our mutual support and trust. 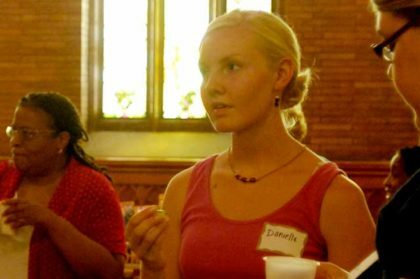 First Unitarian is a member congregation of the Unitarian Universalist Association.